Thanks to you, we have been nominated for Best Seafood Restaurant in Lehigh Valley Magazine's Best of the Valley 2019. 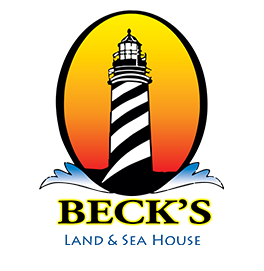 Will you take a minute to vote and show everyone that Beck's is the best? Prime Rib is back! Every Saturday (limited quantities available). We no longer allow outside cakes to be brought in. We offer a variety of cakes that can be purchased in house. Up to $20 off your entree. One additional entree of equal or greater value must be purchased from our regular menu for each birthday reward given, proper photo id required, Age 21 and up, must be within 5 days before or 5 days after your birthday. In 2016 We won: "Best Wait Staff" - "Lehigh Valley Magazine, Best of the Valley"
In 2015 We won: "Best Crab Cakes" - "Readers Choice, The Morning Call"